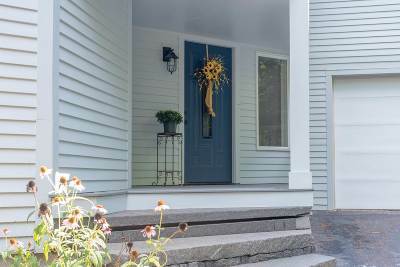 Magnificent 6,200 square foot, newly renovated Winnipesaukee water access home in Alton&apos;s desirable Black Point Association. Upon entering the home through the front foyer or attached two car garage, you are met with a beautiful great room with soaring ceilings, sun-filled windows and filtered water views. The open floor plan of the dining, living and kitchen areas provide endless entertaining opportunities. Kitchen includes beautiful countertops and island, high-end appliances, and brand new cabinetry. The great room has a large dining area, living area with grand fireplace and walkout access to two brand new decks. Large master suite on the main floor has an attached home office, private deck, and sparkling bathroom. Off the foyer, on the main level, is a room perfect for storing winter or summer recreational gear and includes a new washer and dryer. All bedrooms have large walk in closets. The lower level boasts an additional living area/game room with a billiards table, a bar, fieldstone fireplace and sliding glass doors that lead outside to the yard. The lower level has two bonus rooms that could be used for an exercise room and a studio. The home sits on 6.3 acres of wooded land with a two minute walk to the private sandy beach and assigned 30 foot boat dock. The well-maintained association beach area includes over 275 feet of Lake Winnipesaukee frontage. Come see this entertainer's delight, a tremendous value given the location, size of the home, and private dock!